SURFACE SURGEON REPAIRS CORIAN®, QUARTZ, MARBLE, GRANITE & COUNTERTOPS. Wayne Overton is an industry leader when it comes to repairing, refinishing or completing a full restoration on your solid surface countertops. Our team of skilled and trustworthy countertop repair experts will work with you every step of the way. 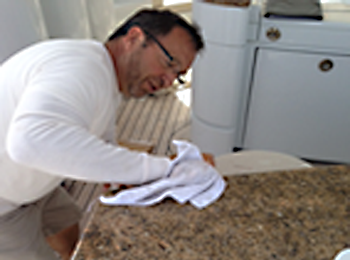 Let Surface Surgeon repair and restore your damaged or cracked Corian®, quartz, granite, or marble countertops today. Serving South Florida including: Palm City, Stuart, St. Lucie, Jupiter, Palm Beach, Fort Lauderdale, Miami, Fort Myers, Cape Coral and Naples, Florida.